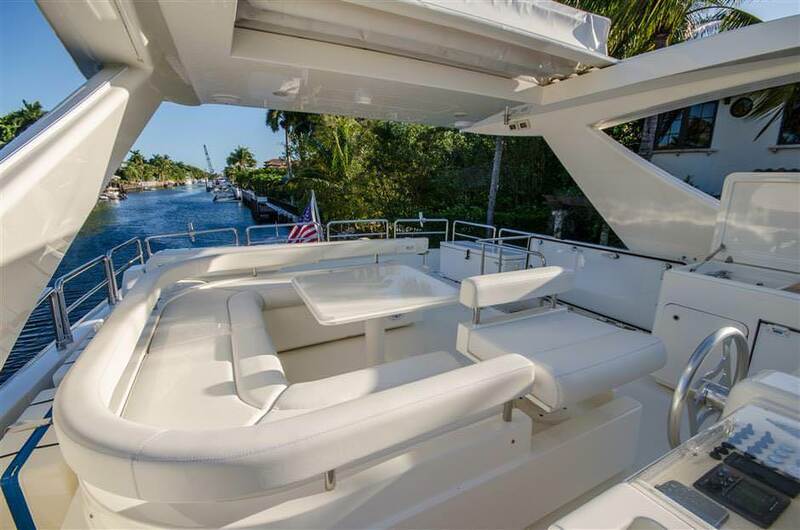 Aft Deck features 8 person rectangular dining table with 4 chairs and bench. Ice maker is also located in port side. 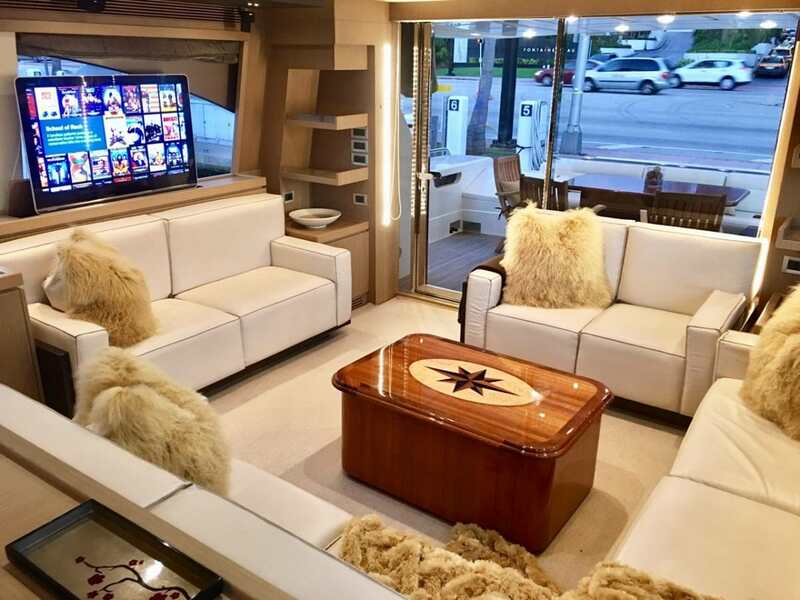 Saloon includes (2) 2-seat sofas, (1) L-Shape sofa on port side and coffee table with pop up 40' flat screen with Direct and Satellite TV and Kaleidoscope system. Step up dining area includes 6 person rectangular dining table with 6 chairs. 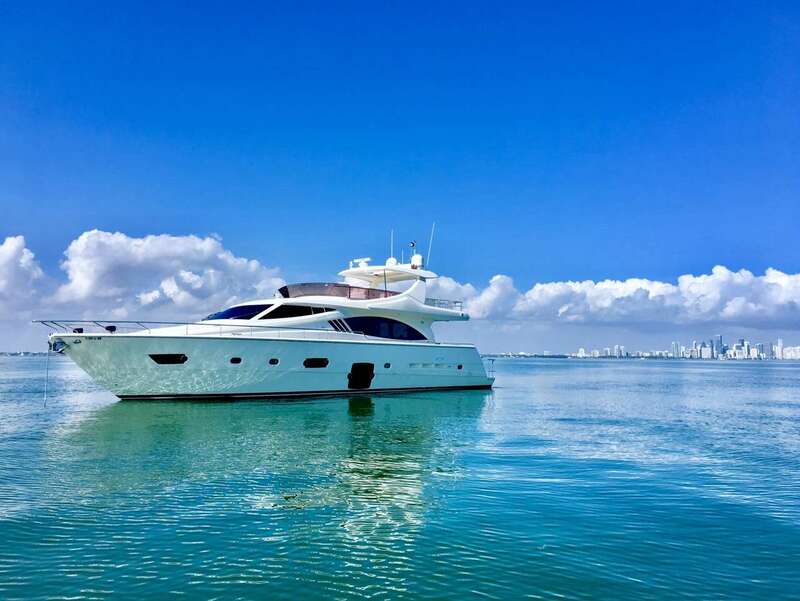 Galley includes Miele electric 4 burner stovetop and oven, Miele dishwasher, Microwave, Nespresso machine, toaster, blender and GE double door refrigerator. 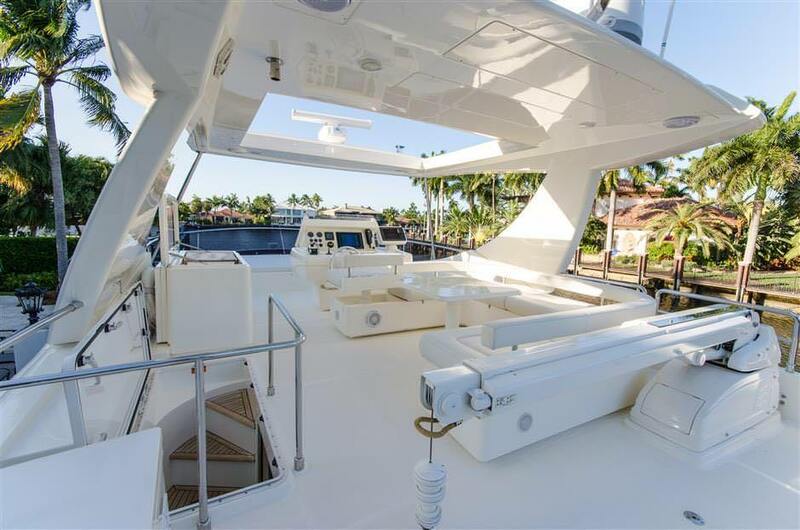 Charter yacht Dr No. has stylish accommodation for up to 8 guests in 4 spacious cabins. All 4 staterooms can be found on the lower deck. The full beam master suite offers a walk around king size bed, walk in closet with safe, thin seating bench, vanity with small ottoman seat, 32" Sharp flat screen, Kaleidescape, Sony Blueray player, Direct and Satellite TV. 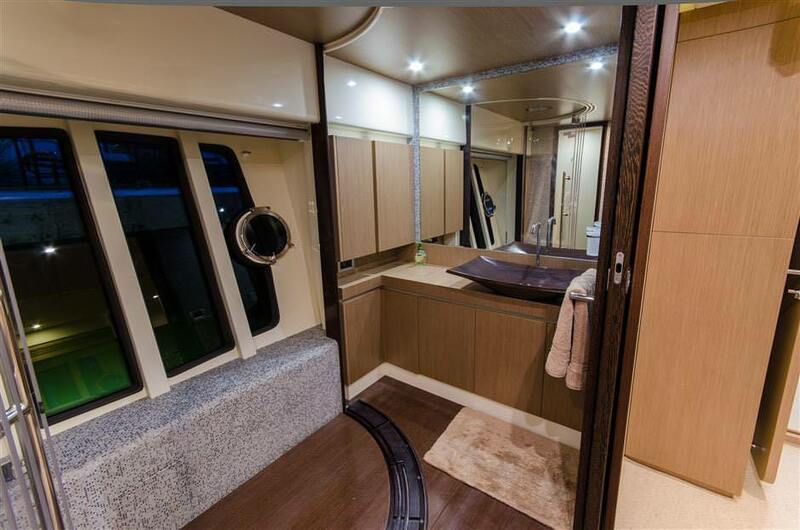 The master also offers an en-suite with large sink, rain shower, and separate area with toilet. 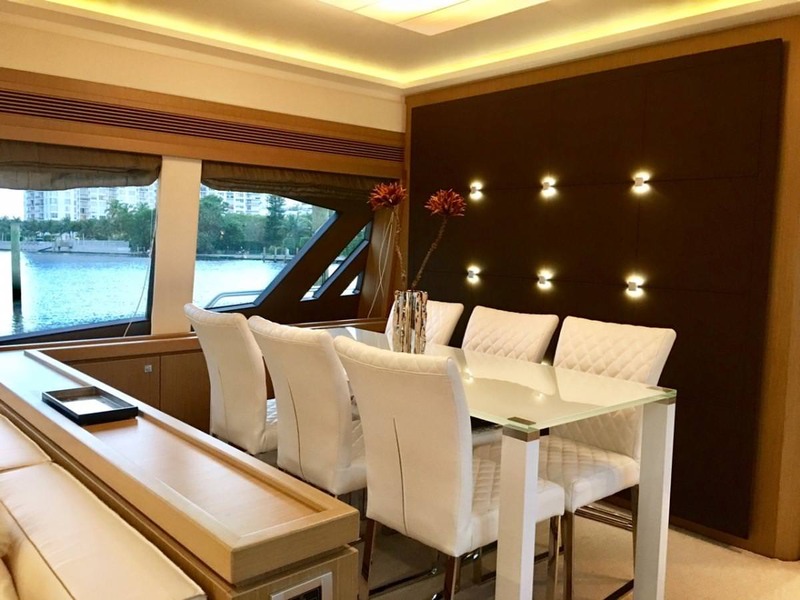 A favorite feature of the yacht is the two very large panoramic windows on port and starboard sides. 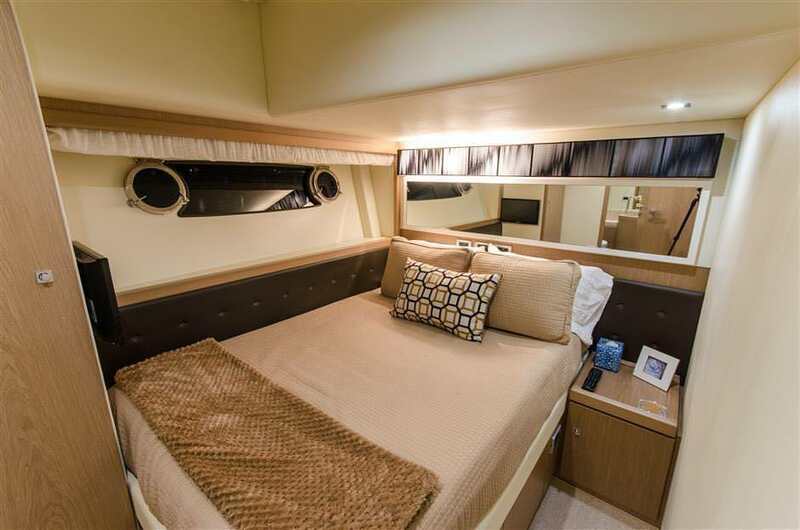 Just forward of the master suite on the port side is a guest twin cabin with ensuite. 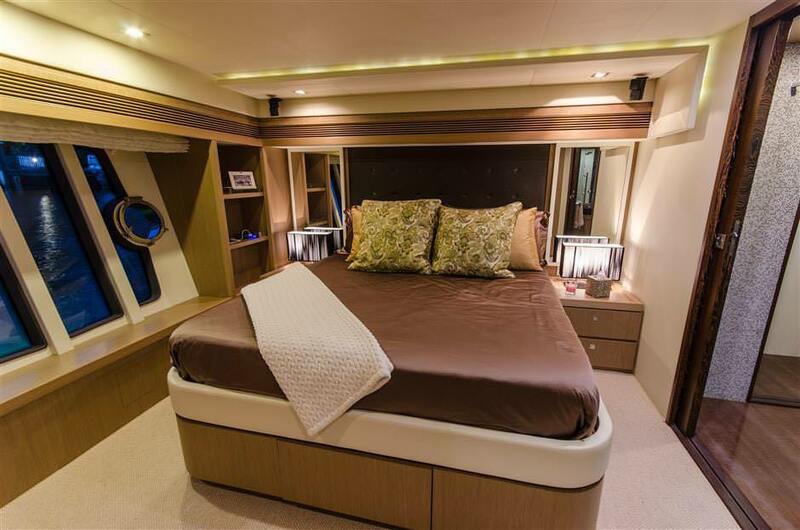 Starboard side guest cabin features queen bed, closet and ensuite. 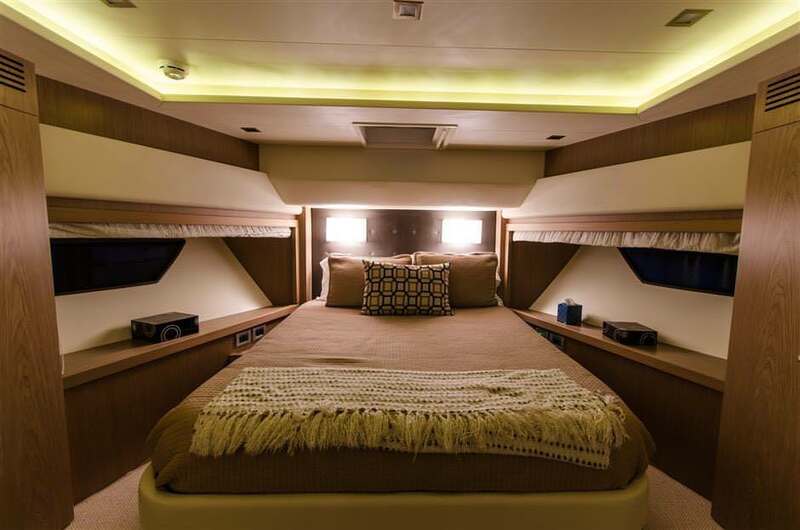 The forward full beam VIP Cabin features Queen bed and ensuite. Every room besides the master contains 18' Samsung flat screen with Kaleidescape, Direct and Satellite TV.